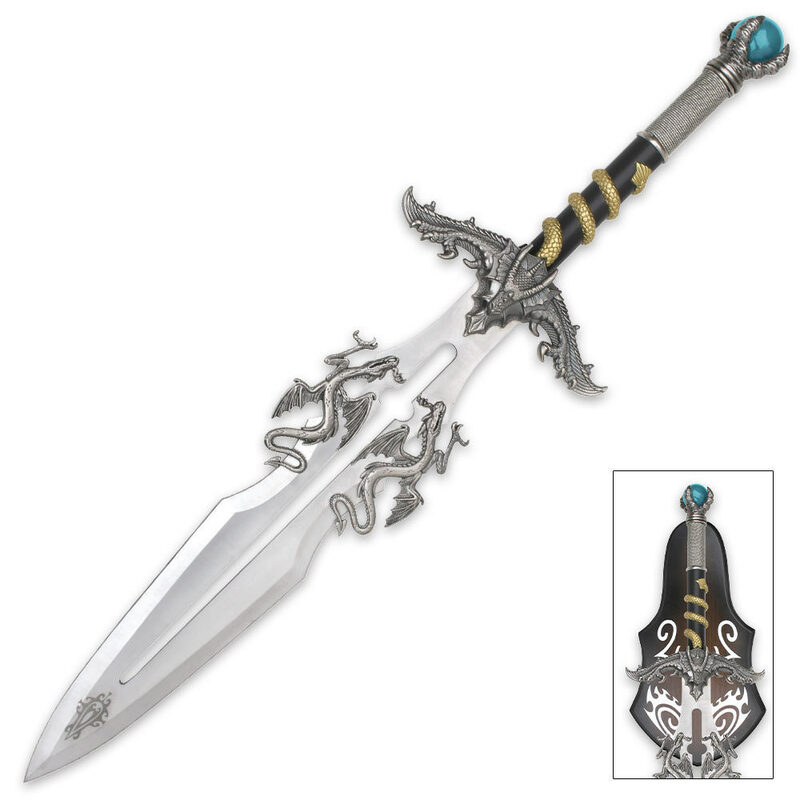 It is hard to know where to begin when describing this highly detailed sword. From the gem clutching talon claw pommel, to the wire wrapped handle adorned with golden dragon scales, this piece has more detail before reaching the guard than most swords have from end to end. A dragon fantasy collector's dream come true, the thick cast guard portrays an elder dragon seemingly watching over two younger dragons as they run wild on the blade. Solid fittings with double edged stainless steel blade, a wooden plaque is included for the perfect dragon sword wall display. Imitation sapphire orb. 25 1/2 in. overall.